Hyderabad: Indian Institute of Technology Hyderabad is hosting a week-long photo exhibition from 19th to 26th September 2017 in its campus in collaboration with The Indian Photography Festival (IPF) – Hyderabad, a non-profit initiative of Light Craft Foundation. This is the first time the Institute has joined hands with the IPF to host a photography exhibition. The exhibition is open to everyone and no entry fee would be charged. A total of 48 photographs submitted by 27 Students of IIT Hyderabad have been kept on display in this exhibition. 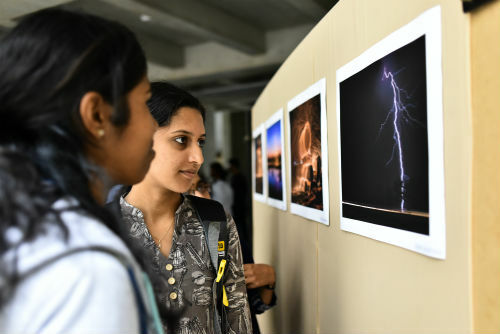 The exhibition is an initiative taken by the IIT Hyderabad Department of Design to provide exposure for the students in photography and encourage them to take inspiration from the work of fellow students. The exhibition is being held under the aegis of Prof. Deepak John Mathew, Head, Department of Design, IIT Hyderabad, along with Mr. Dikshit Sharma, a first-year M. Design student. Directed by Mr. Aquin Mathews, The Indian Photography Festival creates a platform for the professional and aspiring photographers, the photography lovers and the public where the IPF strives to promote the art of photography at the same time addressing the social issues through the medium of photography.